Preheat oven to 350° F. Line a 9x13-inch baking dish with foil and spray foil with non-stick spray. Set aside. In the bowl of an electric stand-mixer, add the melted butter and cocoa powder. Using the paddle attachment, blend until smooth. Pour batter into prepared baking dish and spread out evenly. Bake 25 to 30 minutes or until toothpick inserted in center comes out clean. 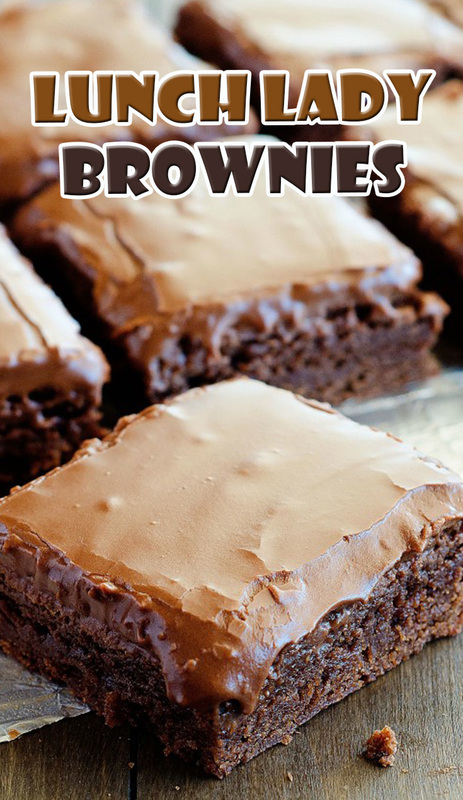 Remove brownies from oven and let stand 15 minutes before frosting. You want the brownies still warm when you frost them! FOR CHOCOLATE FROSTING: Beat together all the frosting ingredients until smooth. Pour and spread over warm brownies. Let cool completely before cutting and serving.